“A complete bifurcation of the island into Tamil-speaking and Sinhala-speaking areas would have taken place only after 1200, especially with the fall of Polonnaruva and the establishment of a new centre of Sinhalese power in the southwest…the retreat of the Sinhalese ensured the consolidation of Tamil habitation in the north, northwest and northeast as well as the assimilation of all non-Tamil elements within that region. 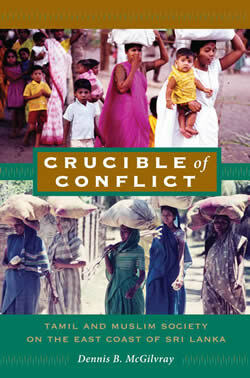 As Anuradhapura and Polonnaruva were forever abandoned, a thick belt of jungle separated the Tamil north from the Sinhala south, and what is more, provided a buffer against any further political interruptions in the form of invasions from south Indian empires.” (Indrapala, The Evolution of an Ethnic Identity. 2005, P275-277) 2. Fig. 1: The jungle distribution that helped to separate the two linguistic regions. Recent scientific and historical studies have indicated that both the Tamils and Sinhalese are largely descended from the Mesolithic people who inhabited all parts of the island in the prehistoric period (over 3000 years ago)2, 3,12. By the dawn of the 13th century the two ethnic identities had begun their political and geographical separation. 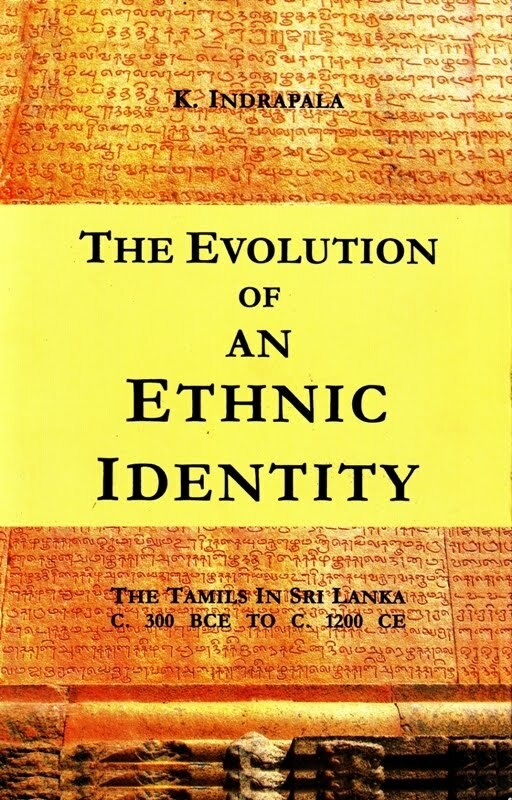 For a full account of this fascinating journey Indrapala’s groundbreaking publication “The Evolution of an Ethnic identity: The Tamils in Sri Lanka C.300 B.C.E to C. 1200 CE”2 is essential reading. Paramparamaka (or ‘murai muraiyaka) tamil peca makkal val piratecankal, which means literally: ‘Regions where Tamil-speaking people have traditionally (or from generation to generation) lived’4. The historical records demonstrate that the ancestral lands of the Tamil speaking people formed a contiguous region in the North-East, one that had deep cultural associations with Tamil speakers since time immemorial. It is a widely accepted fact that northern Sri Lanka, especially the Jaffna peninsula, had been a predominantly Tamil territory for centuries. It is this same area that formed the core of the Tamil kingdom in medieval times. Fig 2: This is the map of the Jaffna Kingdom in present day Sri Lanka at its greatest extend and just before its capitulation to the Portuguese Empire. This view is corroborated by medieval Sinhala literature. The Sinhalese Nampota dated in its present form to the 14th century CE suggests that the whole of the Tamil kingdom, including parts of the modern Trincomalee district, was recognised as a Tamil region by the name Demala-pattanama (Tamil city)5. In this work, a number of villages that are now situated in the Jaffna, Mullaitivu and Trincomalee districts are mentioned as places in Demala-pattanama. Census information from 1881-2012 has consistently shown that every division in the Northern Province bar one has had an overwhelming Tamil speaking majority. In 1911 the Eastern province was over 95% Tamil speaking, although a Sinhala minority predominated in some inner hinterland areas. The eastern littoral itself was almost entirely Tamil speaking and formed a contiguous Tamil region with the north via contact between Trincomalee and Mullaitivu districts. It is this North-East region that forms the territorial basis of the Tamil homeland. 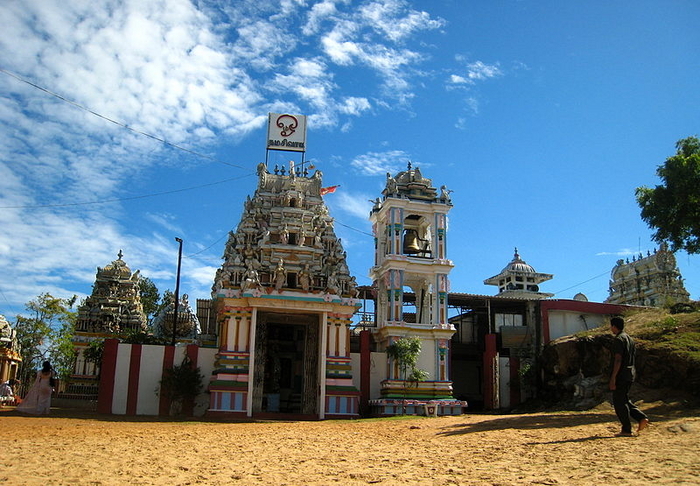 The census of 1827 suggests that the Tamil speaking population of Trincomalee exceeded over 18,000, whilst there was only 250 Buddhists at the time6. From 1827-1921 the Sinhala population of the district did not exceed 5% of the total population6-10. According to the censuses of 1911 & 1921 the only division of Trincomalee district that had a Sinhala majority was Kaddukulam West9, 10. Here in this sparsely populated dry zone area of the interior were small Kandyan villages with a Sinhala population of 69710. 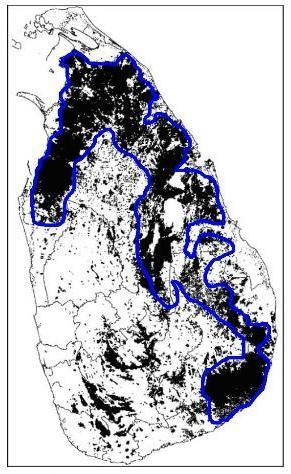 The boundary between these traditional Sinhala settlements in Kaddakulam West and the traditional Tamil & Muslim settlements of the coast in Kaddakulam East (with a Tamil speaking population of 3132)10 can be clearly visualised in the maps below. 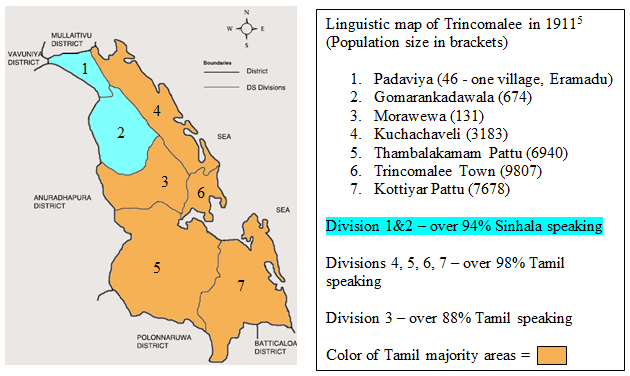 The remaining divisions in Trincomalee District including Thambalakamam, Trincomalee Town & Kottiyar pattu were over 98% Tamil speaking in 1911 (The Tamil speaking population exceeded over 23,000 in these divisions)10. It is apparent from these colonial documents that Trincomalee district, excluding Kaddukulam West, was an almost entirely Tamil-speaking region in the 19th and early 20th centuries. In contrast the Amparai district has had significant Sinhala settlements in the interior forested areas at the foot of the Bintenne hills (although very sparsely populated). In 1911 the Sinhala population in these hinterland areas was just under 4000, whereas the total population of Amparai district was 7% Sinhala10. 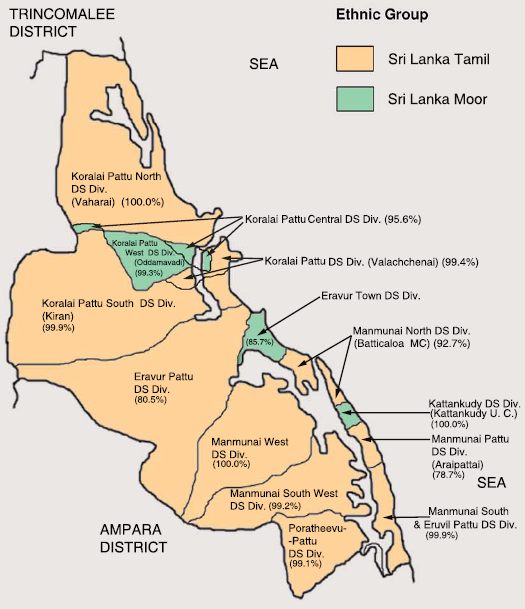 However, the densely populated coastal areas of the district were inhabited almost entirely by Tamil speaking people (over 58,000 in 1911)10 as highlighted by the shaded yellow region in the map below. 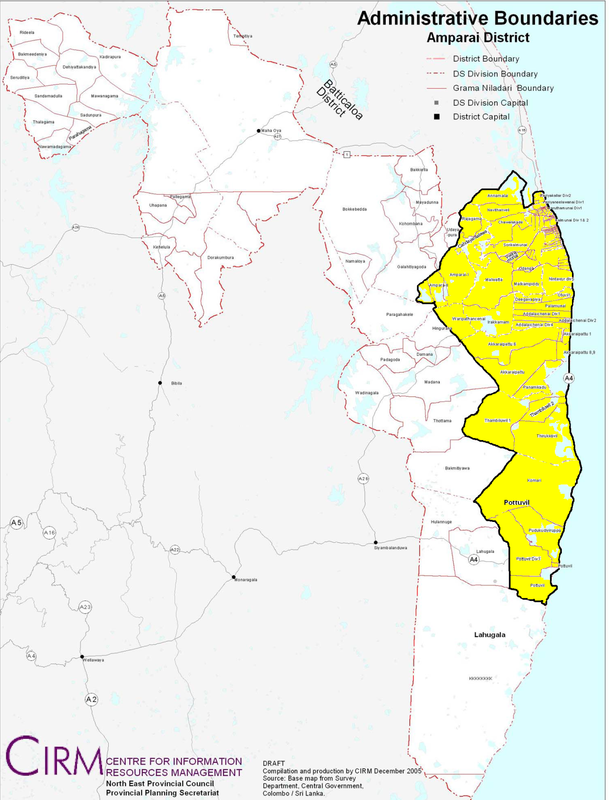 Amparai district 1911: The areas shaded in yellow are the Tamil speaking areas. This region at the time was over 99% Tamil speaking (population >58,000). The unshaded areas of the district are predominantly Sinhala speaking (population <4000). The above evidence demonstrates that for centuries there has existed a contiguous Tamil region in the North-East of the island, which in the modern era is regarded by Tamil speakers as their traditional homeland. The region highlighted in red is over 99% Tamil speaking. 4. Dagmar Hellmann-Rajanayagam, The Concept of a Tamil homeland in Sri Lanka – its meaning and development, , Journal of South Asian Studies, 19901. 12. Mitochondrial DNA history of Sri Lankan ethnic people: their relations within the island and with the Indian subcontinental populations, Journal of Human Genetics (2014).